From the Dottie Rambo Elvis Presley Collection. Elvis Presley’s owned and worn turquoise and silver ring that he gave to singer and songwriter Dottie Rambo. Dottie and Elvis were very good friends, and Elvis recorded some of her songs. One day during a private walk together, Elvis was talking to her about his fixation about the ancient act of repairing valuable items by using gold as filler. He compared the process to the ring he was wearing and its creation, saying, “Some of the most beautiful things in the world are flawed before they are fixed.” And he then gave her the ring. The ring still has a piece of tape on it (which is easily removed) that she used so she it would fit on her finger. 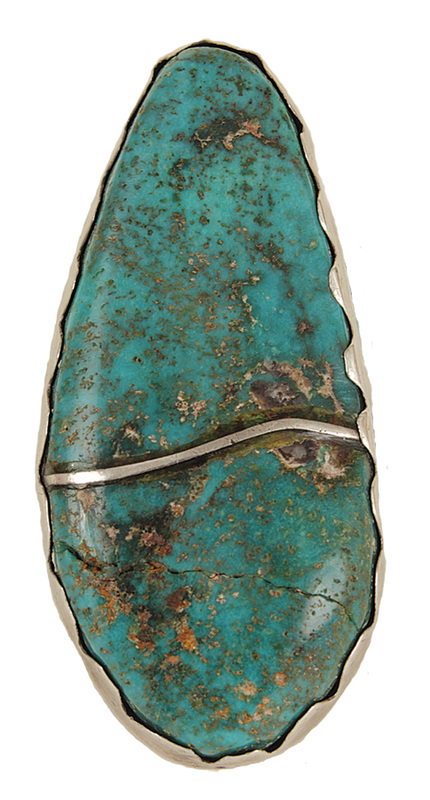 The ring is a size 7, the turquoise stone measures approximately 1.175" inches in length and .75" across at its widest point. Very good condition. The ring was kept in a secure location for years before being offered here. 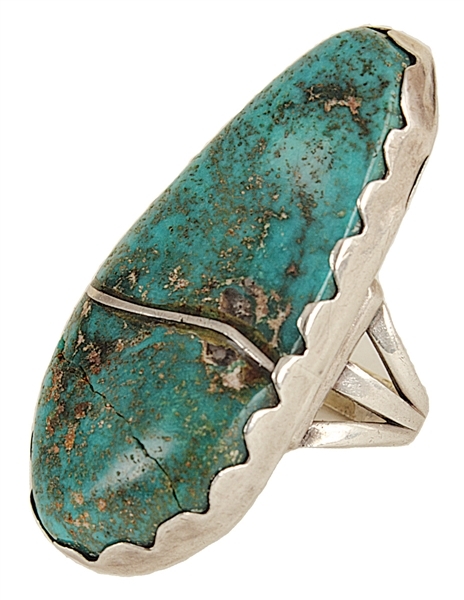 The ring comes with a letter of authenticity from Dottie’s family and a Gotta Have Rock & Roll™ Certificate of Authenticity.